There are many beautiful and well-known sights to see in Rome. These touristic spots are usually really crowded all year long because of millions of tourists that come to the Eternal City to spend their holidays. 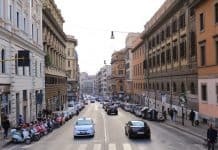 These places such as Colosseum, Vatican City, The Trevi Fountain and The Spanish Steps are amazing to say the least (of course), but Rome has even much more to offer. If you want to explore Rome off the beaten path, keep on reading. Mercato Testaccio is a food market and a truly local place. 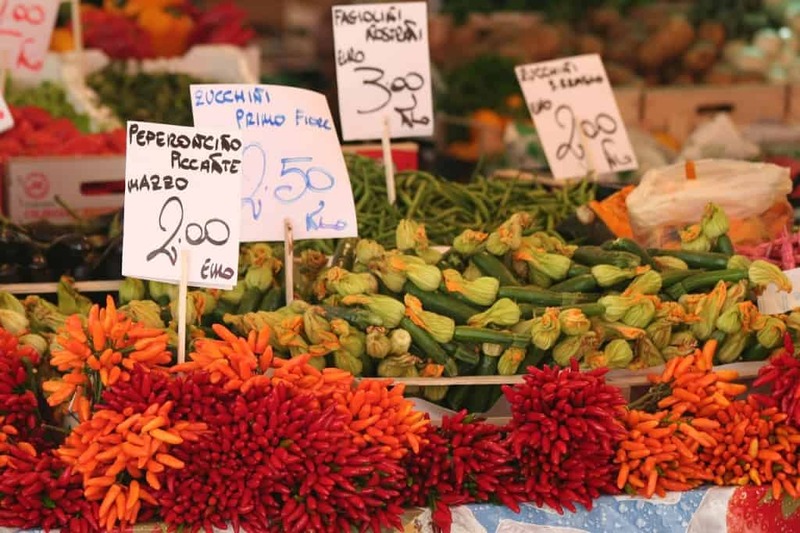 With all the fragrant and fresh food, you can feel the real atmosphere of local Roman life. It is also an orgasmic experience for your eyes, nose and mouth. 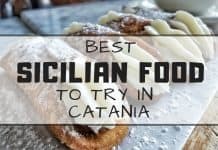 There is a wide variety of things to buy and taste there, such as fresh fruits and vegetables, fish, meat, homemade pasta, baked goods, and more. You can also find there a variety of kitchen appliances for sale. Mercato Testaccio is one of these best places in Rome to have breakfast or lunch. It is open every working day from early morning till siesta after lunchtime. Looking for Rome secret places to have breakfast? Visit Mercato Testaccio. If you are into outdoor activities, Rome has plenty of options to offer you. There are many outdoor public exercise facilities located in different parks. 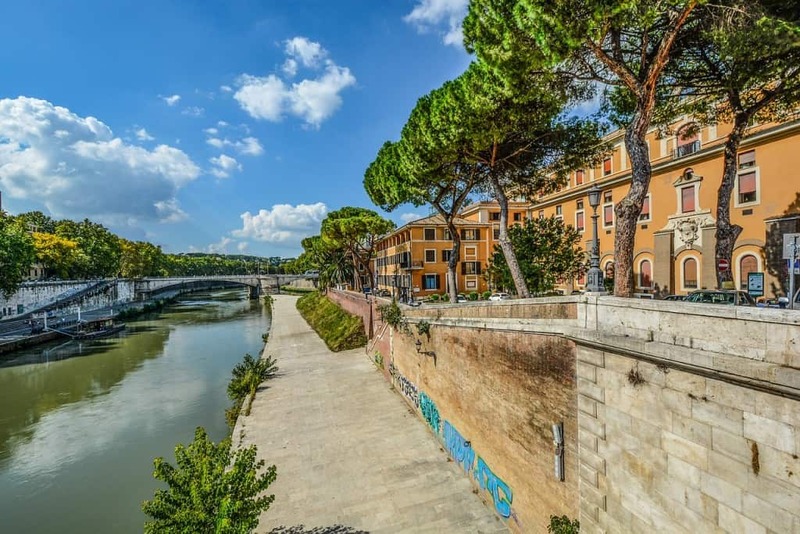 Arguably the best one is the walking and jogging path along the Tiber River where the cars are prohibited. 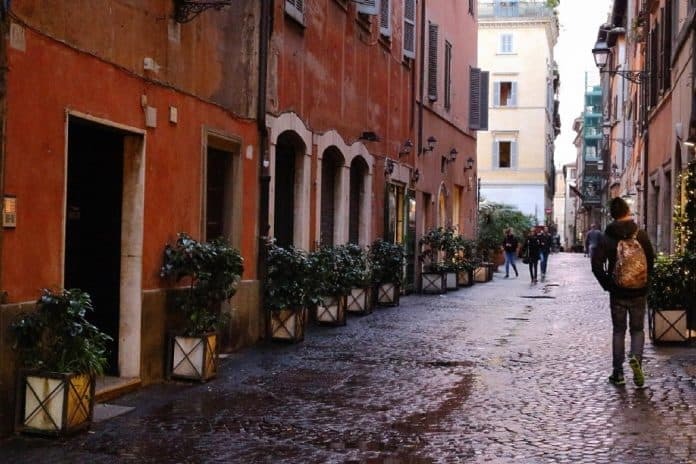 If you want to explore Rome off the beaten track, it’s your place to go. 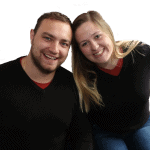 The scenery is fantastic -it will offer you a different view of the Eternal City. Lungotevere is really popular, especially in the hot summer period, as it is always a little bit cooler at Tiber Waterfront. Where else should you go if you want to avoid the crowds of tourists in the city center and explore Rome off the beaten path? 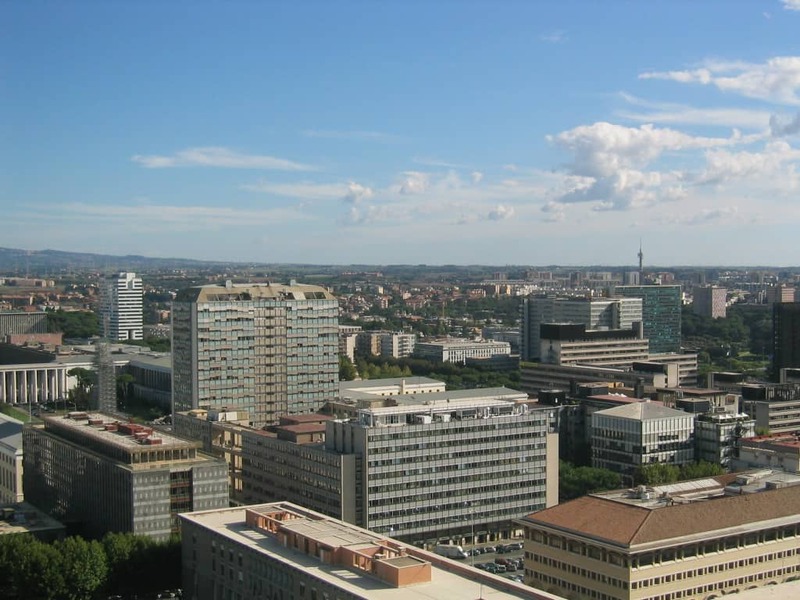 There is a nice neighborhood called Esposizione Universale Roma (EUR) just a few metro stops from the city center. This area was built in Mussolini’s era. It is full of modern architecture. The streets in EUR are quite wide compared to the narrow ones in the city center. You can also find many bars, restaurants or outside places to relax there. EUR is totally different than the old town of Rome, it’s a truly local spot. 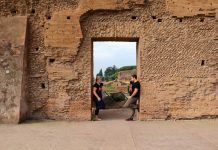 What should you do if you get bored and tired of walking but still want to see the most important sights in Rome? The solution is to see the Eternal City from the different perspective, and at different time than all the tourists. 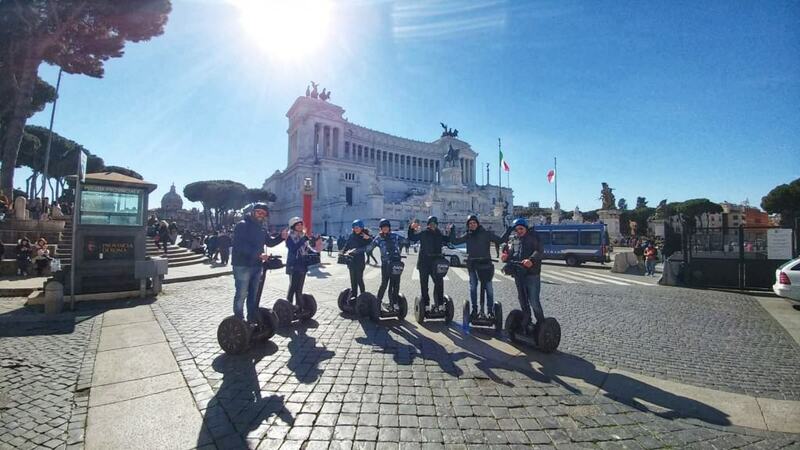 You can try biking, or a joining a Segway tour. Arguably the best one if the Segway Grand city tour at night. The guide Ali is really witty and helpful. You will see many places that you don’t even know existed. It’s one of the things to do in Rome off the beaten path. Of course you will also be able to see all the main touristic attractions of Rome as well, such as the Castle of Saint Angelo, Piazza Navona, Campo dei Fiori, Vatican City, The Pantheon, The Spanish Steps, Trevi Fountain, The Roman Forum, The Coliseum and more. These places have totally different atmosphere by day and by night though. Where should you venture off next after the tour? Arguably the best place for a drink or aperitivo would definitely be Trastevere. It is such a historic and cozy area not far from the city center that is full of friendly bars and restaurants with reasonable prices. During warm night the streets get full of people drinking, laughing, talking to each other, and simply having fun. There are also many street musicians and artists to entertain the tourists and locals. You will definitely feel the spirit of this amazing city!